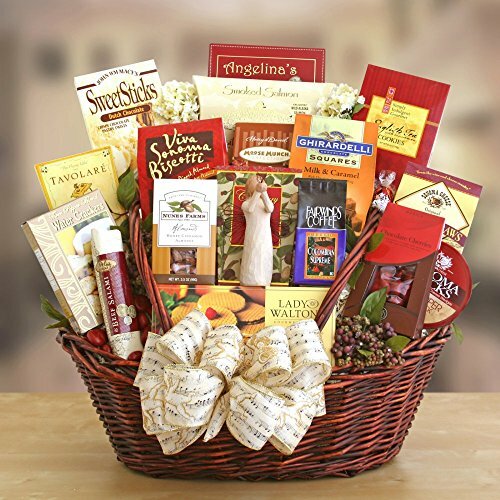 Be an angel and send a Peace, Prayer and Blessings Gift Basket. This simple wicker basket is full of goodies and small gestures to comfort a friend, colleague or family member in a time of need. Gift Basket Includes: Lindor truffles, coffee, cheese, salami, smoked salmon, crackers, biscotti, cookies, chocolates, sweet sticks, almonds, chocolate covered cherries and a guardian angel figurine. If you have any questions about this product by Givens and Company, contact us by completing and submitting the form below. If you are looking for a specif part number, please include it with your message.